“The reason why I am going through this is only because of my dissenting opinions, my opposing views to the government. Not one single action has been mentioned that can justify my imprisonment,” reads a letter penned by Sedat Laçiner, a Turkish columnist, academic and the former rector of Çanakkale Onsekiz Mart University. Prof. Laçiner is among hundreds of thousands of people who find themselves facing tremendous difficulties after the government started a desperate crackdown on the Gülen movement in the aftermath of a July 15 coup attempt. Laçiner, who has been under arrest at the Çanakkale E Type Closed Prison since the July 23, is a Turkish academic specialist on the Middle East and International Relations, with particular reference to Turkish foreign policy and author of more than 14 books. For approximately 20 years I have been working as an academic and since 1993 I have also been active in the media. I started my journey in journalism at the Milliyet newspaper as a correspondent and continued as an analyst and columnist. I worked at the Starnewspaper, and on online news publications and newsletters. I continued my International Relations studies, which I had started at Ankara University, as of 1996 in England. I did my masters at Sheffield University, United Kingdom, and my doctorate at King’s College London, also UK. I have written 26 books and numerous scientific articles on international security and the fight against terrorism in Turkish and English. I have given plenty of statements to national and international media organisations, including the BBC, New York Times etc. I was director for many years of the International Strategic Research Organisation, one of Turkey’s most influential think tanks. In 2006 I became the first Turkish citizen to be put on the list of Young Global Leaders in the branch of Intellectuals, who were selected from the whole world by the World Forum in Davos. Between the years 2004 and 2009 I was an advisor to the Minister of Interior and between 2010 and 2011 I was advising the president of the Council of Higher Education. 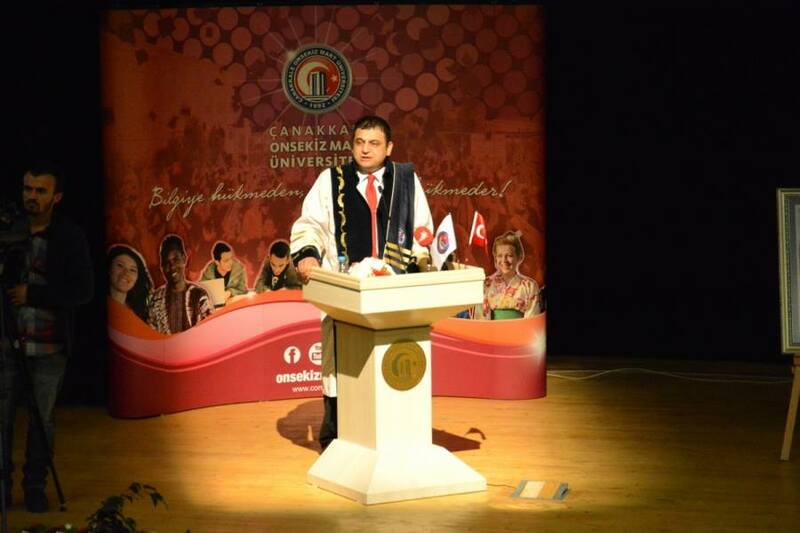 Between 2011 and 2015 I was the rector of the Çanakkale University. I have always been recognized as a liberal and secular author, journalist and academic. I have always supported the policies of the government on integration with the EU and democratization. Whenever the AKP government started to break off from the West and started to glide more to an Islamic line, I criticized the government. The regression in the Turkish democracy, the increase of autocracy and the decrease of freedom of expression in Turkey had always concerned me. I have always been against the disengagement of Turkey from the EU and its gliding to the East. Based on my above opposing vision and criticism against the government I was arrested after 15 July 2016. I have been in prison for three months* and I don’t know how long I will be kept imprisoned. Moreover, I have not been told for what actions I am imprisoned. I am not allowed to speak to my lawyer and use my right to defend myself. My period of imprisonment is being automatically extended without any defense or hearing. It is forbidden to see a judge, we cannot appear in court. The reason why I am going through this is only because of my dissenting opinions, my opposing views to the government. Not one single action has been mentioned that can justify my imprisonment. They have not told me for what offence or what action I have been imprisoned for the last three months. Without doubt this situation contravenes the universal agreements of human rights to which Turkey is a party and is inconsistent with the Turkish Constitution. At the beginning of October the number of people arrested like me was exceeding 35,000 and this number is increasing each day. The number of illegal and out of court dismissals exceeded already 100,000. It is unbelievable that all these are happening in 2016 in a European country. *This letter, dated 13 October, was handwritten in prison, translated by the author’s family, and passed to University World News last week. University World News has a copy of the original handwritten letter.